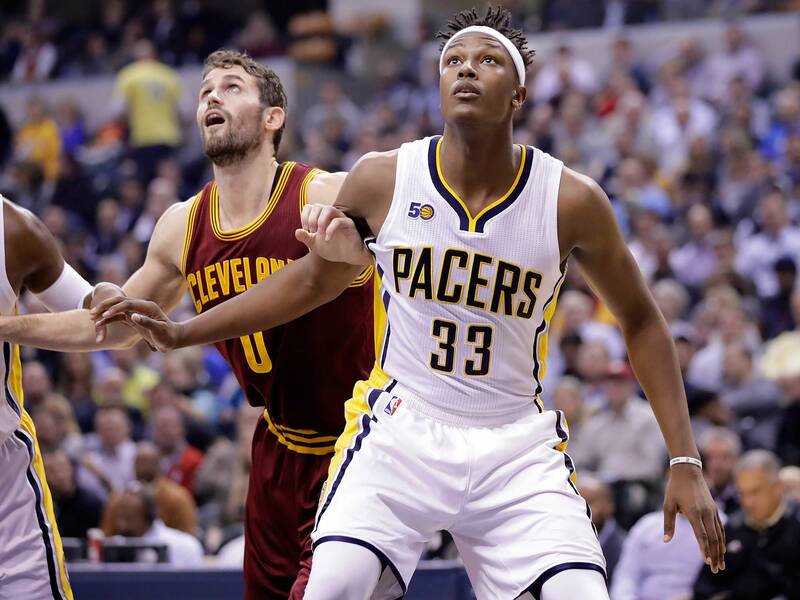 Myles Turner has all the tools to be a star in the NBA, they just need a little refinement. With time, the Pacers' 19-year-old center could be a dominant force in the league. Welcome to The Craft, a serial look inside the world of player development in the NBA. 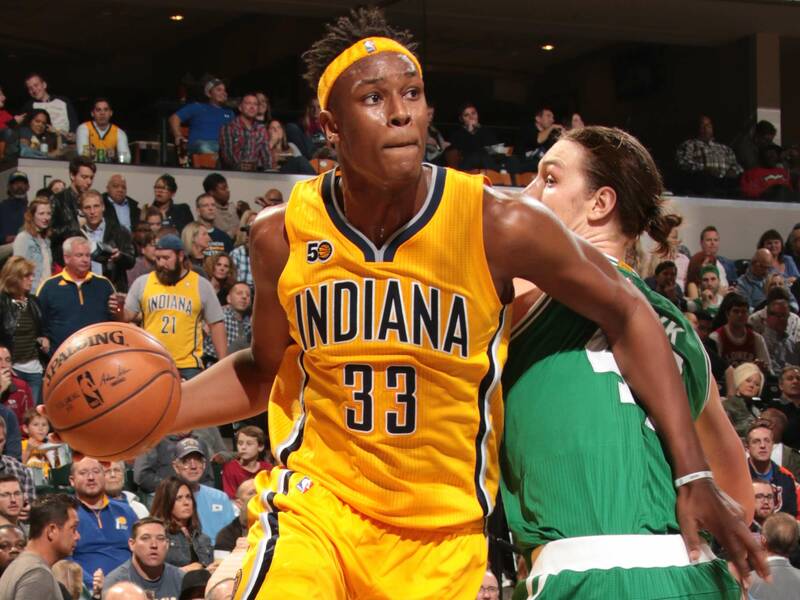 Myles Turner, at 19 years old, had everything he needed in his game but the nuance. The jumper was there, light and lofting. Turning away opponents at the rim was as simple as a reach. To be skilled, athletic, and 6'11" makes so much of basketball so easy. Yet for most of his rookie campaign, Turner’s game was rich in allure and light on connective tissue, his big-ticket skills reduced to tantalizing glimpses. What we see now is the bridge. Brick by brick, Turner is starting to establish the structural tools necessary to carry a starring skill set. It’s less about making the shots than finding ways to help create them. Getting stops isn’t the issue so much as being in position to do so even more often. Emerging in the NBA is so much a matter of manufacturing access. Everyone who’s drafted—particularly in the lottery, like Turner—can do something. Making a career of it means finding ways to do it well often enough to really matter. It’s easier said than done. Even players as talented as Turner have coasted in and out of the league, forgotten beyond what could have been. But there’s a reason why Clippers coach Doc Rivers said just this week that Turner is bound for superstardom. There’s validation in the fact that his own coach, Nate McMillan, says he saw enough from Turner in his first year-plus in the league to recalibrate his already high expectations for the upstart center. Turner didn’t play all that much at Texas (in what he calls an “awkward system”) and didn’t even play big minutes for some of his AAU teams growing up. But he’s come into the NBA just as the league is at its most aware of how to utilize his talents. The results are telling: 18.5 points (on 53.2% shooting), 9.2 rebounds, and 2.8 blocks per 36 minutes for a Pacers team intent on featuring the developing Turner more than it did last year. There’s never been a better time to be a big man with a decidedly modern lean, and the process is in place to make good on the range and abilities Turner has already showcased. “I feel like the way Karl [Towns] plays, the way I play, [Kristaps] Porzingis plays, that's kinda the way the NBA is transitioning into,” Turner said. The process of fulfilling his place in that transition starts with defense. Given the way of the small-ball zeitgeist, much is made of players shifting up a position—wings working as stretch fours, career power forwards making the move to center. Those are moves that can tailor a roster to a preferred style. Turner, out of a similar specific need, actually spent his first year with the Pacers playing down a position. It made sense for the Pacers, then, to find Turner minutes wherever they could. Some came at center, where he was schematically most comfortable but at the mercy of bruising NBA bigs. More came as a nominal power forward alongside then-Pacer Ian Mahinmi. Experience out of one’s natural position can sometimes be instructive for a developing player. In Turner’s case, it resulted mostly in confusion. “If you look at film,” Turner said, “I was jumping around a lot, doing a lot of guessing.” Call it a case of the rookies. The smaller the league trends, the more that Turner—who already leads the NBA in block percentage—can exercise his length to its greatest effect. This is easily his most pronounced defensive skill. Turner is a shot-swatting natural, though he spent most of his rookie year trying to pin down the timing of the NBA game so that he could actually be in the right place at the right time. Think of the luxuries that a player with Turner’s shot-blocking radius would have at every other level of basketball. Fundamentals? Very much optional. Proper positioning? Secondary to the fact that Turner held every physical advantage. That mindset informed Turner’s rookie play. Some eager shot-blockers are guilty of leaping and lunging at every opportunity. If anything, Turner had the opposite problem; he forsook staying in front of the play last season because he always thought he could jump and swat his way back into it. That led him to give up all kinds of angles to the basket – even on possessions he could have contained. Turner’s getting there. He seems noticeably more prepared to track opposing ball-handlers step by step, punching up his defense with the power of deterrence. Being on top of the play also positions Turner to just swallow up all kinds of passing angles. Everything from pocket passes to lobs becomes a tougher pull when Turner is square to the ball with his arms spread. A little proactivity is the tangible difference between stalling out a possession at the point of attack and watching, a few steps off to the side, as the primary operations complete. Some mistakes are inevitable. But on balance, the Pacers defend capably with Turner feeling his way through his newfound responsibilities (“traffic cop” communication included) and buckle into a misshapen, out-of-sorts mess without him. So much has come to rest on Turner so soon. Indiana’s offense has a similar dependence on its young centerpiece; the margin of Turner’s presence is that between an average output and the league’s worst, according to NBA.com. Getting to that point took individual growth. As a rookie, Turner made his entrance into the rotation as a role player acclimating to the first pro-scale system. Good intentions often gave way to the restlessness of a young prospect eager to prove himself. There wasn’t even enough time to square up a shot before Turner had hurried his way through hoisting one up. “Last year, it was like as soon as I touched [the ball], it was like a hot potato,” Turner said. “I had to get rid of it.” Part of Turner’s progress this season has come in finding room in his game to slow down. It must be enticing to know that you can fire off a shot cleanly over the top of a defender whenever you’d like. Settling in means learning to live comfortably with that infinite airspace. McMillan sees some LaMarcus Aldridge in Turner, which is both a convenient comparison (given that McMillan coached Aldridge in Portland, while Aldridge and Turner share an alma mater) and a sensible one. Turner drills post footwork with assistant coach Popeye Jones and resident low-block guru Al Jefferson, though you don’t often see him bust out those moves in-game. Lower body strength (as you may remember from the strange running gait subplot at the time of Turner’s drafting) is a particular issue; Turner just doesn’t have the heft to really bump and displace defenders at this stage, though having the face-up jumper as a fall-back allows him to get by. It wasn’t until coming to the NBA that Aldridge (or for a different flavor of comparison, Jermaine O’Neal) came into his own as an iso-post scorer. That kind of evolution could make sense for Turner a few years down the line. Players this precocious are always pushing to add another layer to an already rich game. There’s also something to be said for Turner’s commitment to the process of actually carving out a quality attempt from within an offense this year. Indiana began its season playing loose, read-and-react basketball but has since gone back to calling more plays. “We realized we needed some more structure,” Turner said. From that comes different kinds of opportunities—namely, schemed pick-and-pops with programmed floor spacing. Public interest in the pick-and-roll game is decidedly back-heavy. We care about the rollers rumbling in for dunks and the shooters popping out for threes, in part because those are the mechanisms that make defenses squirm. But Turner isn’t shooting worlds better out of the pick-and-roll this season (up to 58.1% effective field goal percentage, according to Synergy Sports, from 41.7% last season) because of a revamped jumper. Change came through greater precision in the process itself, starting with the screen. “Watching film, I never really hit anybody last year,” Turner said. “This year, that's what I'm starting to get better at that. The biggest thing is first, you've gotta sprint into the screen. Then you've gotta set it at a lower angle. A lot of guards kinda try to cheat and run under it, and you've got to be at a complete stop because refs are calling moving screens all the time now." Turner still whiffs on more picks than he might like. But even the best, most physical screeners don't make hard contact every time. What matters is keeping the ideal in mind to understand the goals of actually setting a screen in any given situation. The rest comes down to gradual improvement in technique. In the meantime, Turner put a lot of preparation into rounding out the cerebral side of the two-man game. Reading the floor is not solely the responsibility of the ball handler; from the moment Turner turns off his screen, he has to take a snapshot of the floor and instantly analyze the intentions of the defense. There's no easy, straightforward way to train yourself into those reads. It can only come with instruction and experience, over and over, until every little tell in a defense's positioning and movement jumps out on first glance. “It's kind of hard to do it in a one-on-one setting," Turner said. "But when you start playing in practice, you've gotta read the help side, the weak side. Are they stunting at you? Are they heavy stunting? Are they there right away? Then you've gotta just stay in the guard's window—their window of vision is what we call it." To add another layer, the Pacers run a diversified offense that counts on all three of Paul George, Jeff Teague, and Monta Ellis to handle the ball as the situation allows. All four of his fellow starters (including Thaddeus Young) have assisted Turner at least 10 times this season. Dip into the reserves and there are even more pick-and-roll partners to work with, and thus more that Turner needs to fully understand. "Just think about a quarterback having to adjust to four or five different receivers and know their tendencies," McMillan said. What Will The NBA Look Like In 2020? Basketball acquaintances can get the basic steps down without issue. But the reason why pick-and-roll basketball is central to the workings of every NBA offense is because of the subtlety afforded by the familiar. It's a basic play elevated by two players who know each other's game on a more intricate, rhythmic level. For now, Turner is taking mental notes. "When you have someone like PG, obviously defenses are worried about him and his abilities," Turner said. "So a lot of guys focus a lot of their attention on him—especially when he's coming off a ball screen, which leaves me wide open. Whereas you have guys like Jeff who can attack and penetrate, but he's a little bit shorter so guys have their hands up and he makes lower passes. Monta's a dominant right-hand driver so you've gotta get out of his window to his left." Opponents this season want to stay attached to Turner as much as possible, and have actually resorted to holding and shoving him a bit more in the midst of their defensive exchange. Consider it a sign of respect. Those signs will only come in greater volume. Turner should be prominently featured in scouting reports for years based on the special attention that the strengths of his game demand. A typical close-out will not do. A casual drive in Turner's vicinity is doomed. His skills will heighten and their application broaden over time, likely in the kind of arc that will make his stardom inevitable. The next step is there. All that's left is for Turner to work his way through, taking it in his own time.